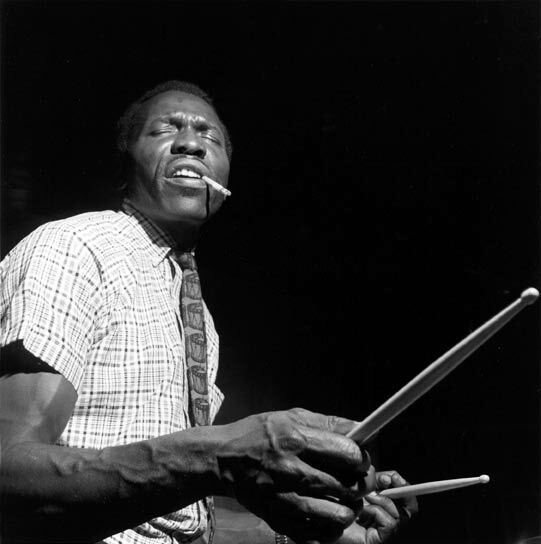 Elvin Ray Jones was an American jazz drummer of the post-bop era. After serving in the US Army from 1946 to 1949, Jones joined a Detroit houseband led by Billy Mitchell. He moved to New York in 1955 and worked as a sideman for Charles Mingus, Teddy Charles, Bud Powell and Miles Davis. From 1960 to 1966 he was a member of the John Coltrane Quartet. Elvin is the brother of Hank and Thad Jones. Live in Japan 1978: Dear John C.
Tribute to John Coltrane "A Love Supreme"